Our goal is to exceed our customer’s expectations with each and every job. 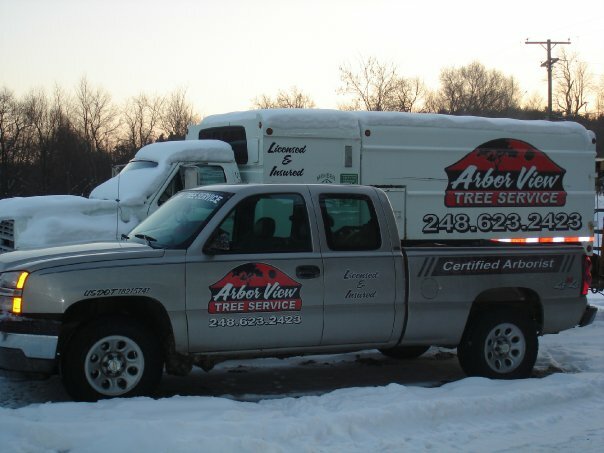 Arbor View Tree Care Services , based in Davison, Michigan is comprised of a team of qualified professionals trained to handle all types of trees, our services are obviously beyond average. We are dedicated to offering a broad range of quality services to your trees. This includes pruning, trimming, cutting and permanent removals. We are focused on maintaining a long-lasting relationship with our clients; hence quality on our services is not compromised. We are, therefore, the best-suited solution providers when it comes to tree related menaces. With a team of qualified staff fully equipped with unique skills, and the ability to handle any tree, we are best fit to offer all tree related services. Beyond skills, we brag of a significant workforce that is at your beck and call and always armed to serve you whenever the need arises. With full knowledge of emergency cases, we are quick to respond in case a courtesy call comes our way. Trees are natural creations, and we are aware they can fall anytime and block roads, for example, our ears are hence on the ground and any call relayed to us is considered urgent, and our team responds appropriately. We do not take chances when it comes to equipment. Significant investments have been generated to ensure we are up to date with the latest machinery to deal with specified types of trees. When you call us for a service we ensure, we send specialist personnel fully armed with equipment to deal with the particular problem. Improvised equipment can at times pose dangerous to the people surrounding. Arbor tree services don’t work with homemade machinery we rely on a specific machine for a specific problem. This alone places us top the ladder over our competitors. 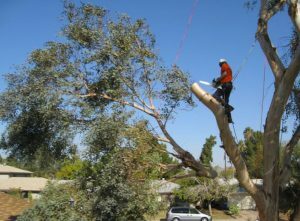 Unlike many cons in the tree care services, our company is certified and insured. We abide by all ethics speculated by the law to ensure our clients’ interests are handled with care. We have insured all our equipment which means chances of incurring losses when our team is on your grounds are minimized. This is a clear indicator of how committed we are to ensure full house delivery to our clients. 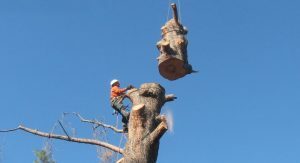 All our employees are fully qualified and equipped with the skills required to perform specific tree services. In addition to having qualified staff at our disposal, we also brag of a well –sized workforce to enable us to serve you whenever the need arises while still performing other services without being outnumbered. We give you a “maximum service” guarantee which in turn secures all your interests as a client. Unlike tree loppers or other unqualified individuals, we are an ethical organization with insured equipment which means you are not at risk of incurring losses when our staff is on site to address the issue. This indicates our commitment to add value and maintain customer confidence. Once you speed us up to the type of tree services required, it is our professional duty to plan ourselves and send an appropriate team of relevantly skilled personnel accompanied by the specific equipment needed to address the issue. We DO NOT improvise on equipment as we always aim to keep the safety of clients and the environment first. We offer not only emergency services but also quick and immediate responses whenever you attempt to reach to us. We understand that trees can fall and block roads or even hang precariously over structures. Therefore, any call received is treated as an emergency by our entire team.